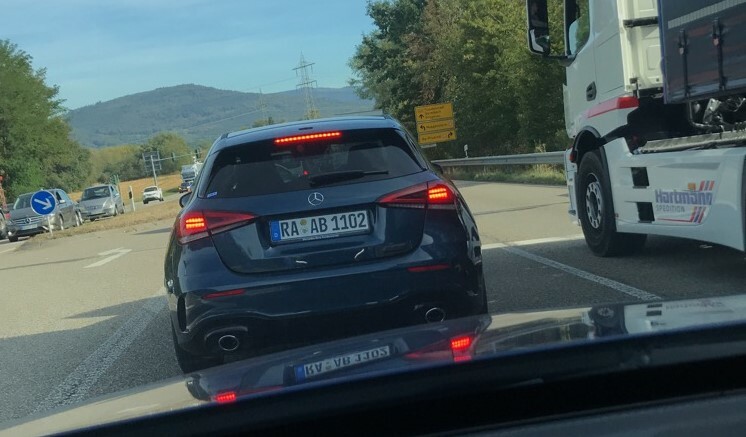 The first-ever Mercedes-AMG A 35 4MATIC revealed digitally earlier this month was spotted completely uncamouflaged outside its production site in Rastatt, Germany this week, courtesy mbpassionblog. 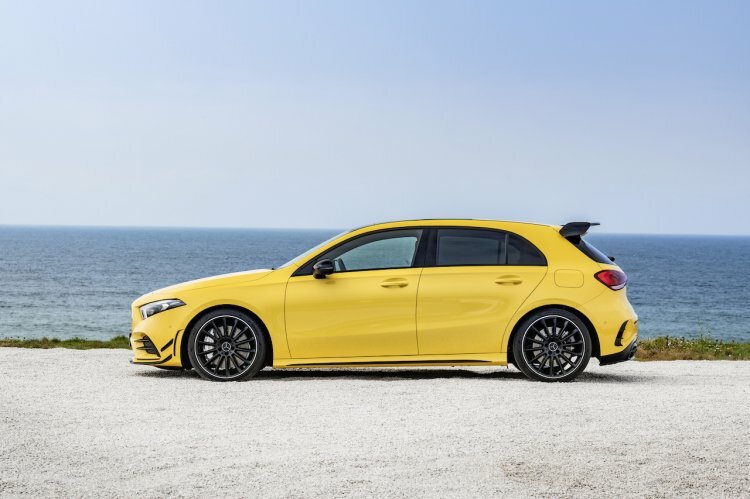 The Mercedes-AMG A 35 4MATIC accelerates from nought to 100 km/h in 4.7 seconds. The Mercedes-AMG A 35 4MATIC is the new entry-level AMG model that allows the Affalterbach-based high-performance brand to have a presence in a lower price segment. It sports the M 260 2.0-litre turbocharged petrol engine that puts out 225 kW (306 PS) at 5,800-6,100 rpm and 400 Nm of torque at 3,000-4,000 rpm. A 7-speed dual-clutch automatic transmission and an all-wheel-drive system work together to send the drive to the wheels of the most accessible AMG. The Mercedes-AMG A 35 4MATIC completes a 0-100 km/h sprint in 4.7 seconds, and it can attain a top speed of 250 km/h. Like many other features, customers can opt for AMG Track Pace as a part of the MBUX infotainment system that permanently records more than 80 vehicle-specific data, such as speed and acceleration for example, while driving on a race track. The AMG variant has a more emotional styling with various cosmetic enhancements. The radiator grille with twin louvres is a signature AMG feature. AMG Line front apron with flics on the air intakes, a front splitter and silver chrome trims on the louvres are other unique styling touches at the front. On sides, 18-inch twin-spoke alloy wheels and AMG Line side sill panels are the distinguishing features. Distinctive rear apron with a new diffuser insert, large roof spoiler and two round tail tailpipe trims dominate the rear view. Inside, Artico man-made leather seat upholstery, ventilation nozzles with red ring, AMG display styles for the instrument cluster and visualisation and flat-bottomed AMG steering wheel with a round controller beneath the right-hand spoke and two vertically positioned colour display buttons with switches beneath the left-hand spoke for AMG functions are some of elements that emphasise the car’s dynamic character. The Mercedes-AMG A 35 4MATIC could reach the Indian market in 2019. The Mercedes-AMG A 35 4MATIC will have debut at the 2018 Paris Motor Show on 2 October 2018 and hit the first markets in January 2019.